After trying the Ballast Ball at several fitness workshops, I quickly became a fan. Its stability allows for a number of moves you can't do with a regular ball, and the loose filling inside (ballast) adds just enough weight to challenge the abs and back in a whole new way. The ballast moves and shifts in different ways, giving you more options for functional and core training. As it moves, it produces audible cues that can help guide you through different motions; when rolling it, you hear a low shushing sound, and there's a louder impact when you shake it. This stability ball has a dynamic weight inside that keeps the ball from rolling and flows smoothly as the ball moves. You can do shifting and lift exercises with the ball to target the core and make traditional exercises more dynamic. The included video offers a total body workout, showing effective and unique ways to use the Ballast Ball. 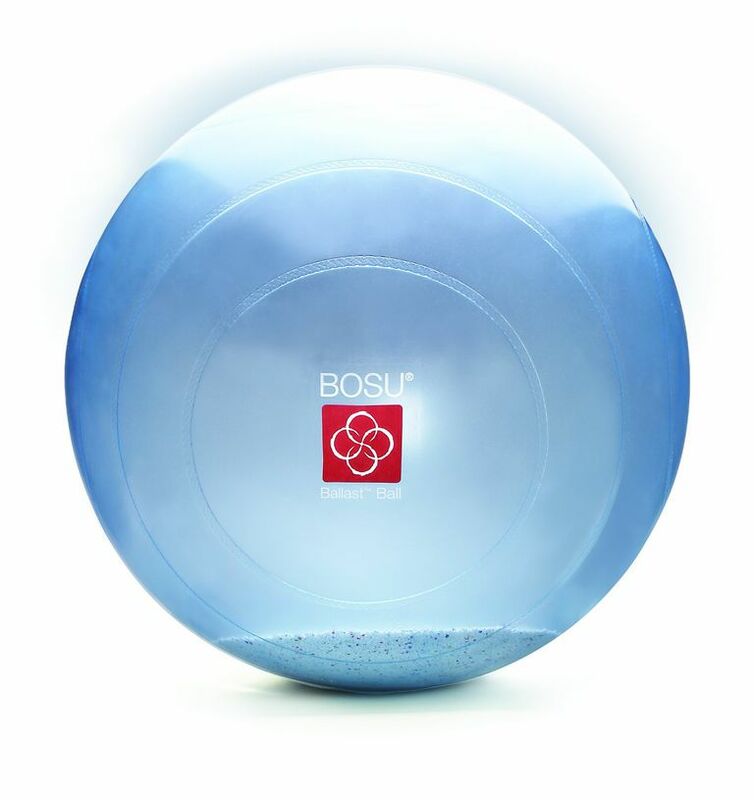 The Ballast Ball is the latest in the BOSU product line, which is best known for the Balance Trainer. Like the Balance Trainer, the Ballast Ball is all about functional training and strengthening the core in new ways. What makes the Ballast Ball different from a regular stability ball is the dynamic weight inside. This weight keeps the ball stable when it's on the ground, but adds challenge when you lift, shake or roll it. This shifting weight forces you to use your core and stabilizer muscles to keep the body static as the weight pulls you in the opposite direction. Squats Because the ball is stable, you can squat and sit on it without it rolling away. You can also combine exercises for some great functional training. One move shown in the video involves squatting to the ball, hinging back for a crunch, and standing back up to work the core and lower body. Lifts and Shakes You can work the core in a unique way by lifting it, rotating it around, and shaking it to make the ballast shift and move. Flexibility Because the ball doesn't move, you can use it as support for flexibility or yoga exercises. Abs Typical ab exercises become very challenging when you hold the ball between your feet or in your hands for crunches or reverse crunches. Overall, the Ballast Ball is a great tool offering truly unique ways to work the core. Users will find the video helpful for using it effectively, but it can also be used for most traditional ball exercises, making it a great addition to any home gym.